On the 16-7-18 myself (Ross Macpherson) and 4 of my co-defendants (cod’s) were found not guilty of Prison Mutiny, Violent Disorder and Affray.3 of my cod’s were also acquitted of Criminal Damage following a half time submission of no case to answer. The judge agreed that the ‘evidence’ was so unreliable that he directed the jury to find us not guilty. In desperation the prosecution tried to add a charge of section 4 public order offence against me and 1 of my cod’s only for the judge to dismiss this as well. In the end 2 of us were sentenced to 2 years consecutive and 20 months respectively which we had already pleaded guilty to. This whole case was brought out of vindictiveness by the prison service, police and Crown Prosecution Service. From the beginning they have tried to make an example of us for standing up against what the judge described as inhumane conditions. Despite the prison service feeding nonsense stories to the media that I threatened to gouge out officers eyes with a pool cue, the evidence spoke for itself and exposed the failings of HMP Lewe and the deplorable conditions they kept prisoners in. Unfortunately I was unable to update anyone during the trial as I was sent to the segregation unit at HMP Elmley and all my property was confiscated in a ploy to disrupt and provoke me, so apologies to all those who took an interest. Now the focus needs to be shifted on supporting those that are due to stand trial next year for mutiny charges at HMP Swaleside. 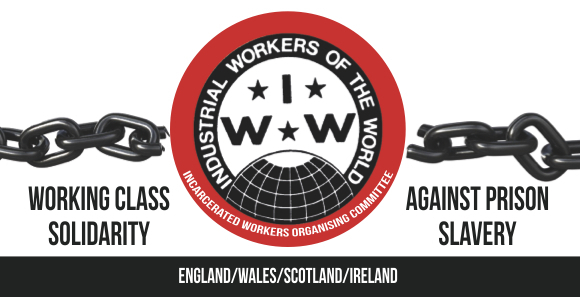 IWOC will be at the IWW Organising Summit – join us!